Our reliable, and trained service repair technicians are available 7 days a week to repair your front load washing machine! Front Load Washing Machine Not Spinning: If your washer is not spinning during the cycle, the cause could be a variety of issues such as the pump or carbon brushes. Appliance Service YYC will diagnose the issue and provide speedy, reliable, and warrantied repairs. 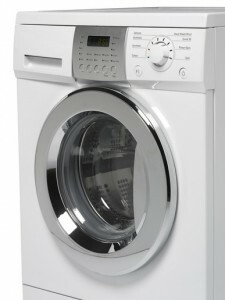 Front Load Washing Machine Won’t Drain: A washer that refuses to drain is a real issue in the household. Let Appliance Service YYC promptly fix the issue. Front Load Washing Machine Won’t Turn On: This is a scary complication to face, and many front load washer users might be afraid that their washer has been rendered useless. Appliance Service YYC guarantees not only a firm assessment, but a successful repair of any front load washer that will not turn on. Front Load Washer Displays Fault Codes: If you see a series of seemingly meaningless codes, numbers, and letters on your washers screen, it is very likely that you will need a repair professional to assess the issue. The issue could be simple or complex, but it would be difficult to find out yourself. Ensure that you have a trained professional diagnose the fault code! Front Load Washer Needs a Door Boot/Rubber Gasket/Seal Repair or Replacement: This rubber seal is a very flexible piece that sits between the door and the drum. It functions to prevent leaks in the washer. You may need a door boot repair if you notice leaking under the front panel. If you notice a leak or black mould forming around the door seal or gasket, you will have to have it replaced. Here at Appliance Service YYC, our repair team is comprised of only the best and most reliable professionals available. All of our highly trained and experienced technicians are skilled and experienced . They can quickly and promptly diagnose all front load washer issues and problems, and provide a stellar repair in little to no time at all. Appliance Service YYC is more than proud of the exceptional repairs offered. Our main concern is your satisfaction, and that motto goes into every repair that we perform. Because of our strategically placed technicians, fully stocked repair vans, reliable and technicians, we are industry leaders in front load washer repairs. Best of all? Our prices remain affordable, competitive, and fair. Don’t miss out on this opportunity! Relieve yourself of the stress of a broken down front load washer and get your discount today! Call Appliance Service YYC today and our customer service representative will guide you on the road to appliance repair. Contact us at 403-879-0967 now! Any sort of home appliance needing repair is stressful, but very few are more stressful than a broken down washer. You will need to take your clothes out to a coin wash, or badger your friends for their washers. This stress is unnecessary because of Appliance Service YYC’s unmatched service and competitive prices! Rid you and your home of this stress by calling Appliance Service YYC today!